Brooke started climbing mountains at age 2 when she summited her first 14er in Colorado. Since then she has found joy in human-powered exploration ranging from running to biking to ski mountaineering and climbing. 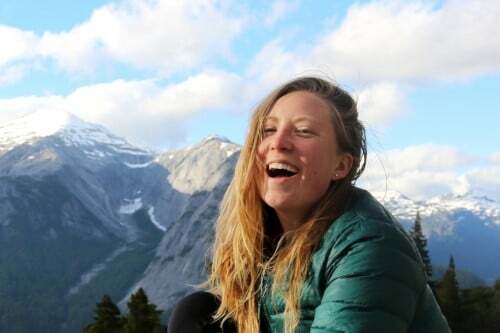 She’s been an outdoor educator and instructor for ten years, and has taught students of all ages how to move in the mountains through Colorado Outward Bound School. There she’s taught leadership, group dynamics, communication and self-confidence while imparting backpacking, climbing and mountaineering skills. In her time unplugged on rugged ridges and lush tundras, she’s discovered chocolate is the best fuel and laughter is the best connector. When she’s not guiding she is climbing rocks, dancing, or investing time into communities through photojournalism.